Collects Mosaic #6-8, Uncanny Inhumans #11 and more. 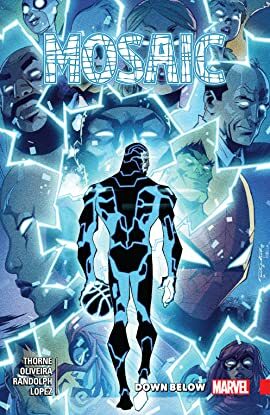 Witness the incredible first meeting between the body-jumping new hero known as Mosaic and his people...the Inhumans! With their aid, the super-powered sensation will delve deeper into his incredible abilities, and unlock hidden truths about himself. But the villainous Brand Corporation has set their sights on Mosaic, and they're not done with him yet! What will their next gambit against Mosaic be - and will he see it coming in time? 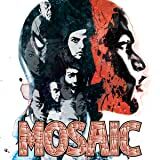 The soul-searching saga of Mosaic continues!